WARRANDYTE FESTIVAL is shaping up to shine, with a great mix of music, food and events planned for this year’s celebratory weekend, across March 22–24. 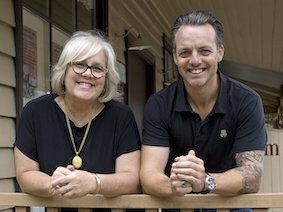 Embodying the festival theme “Stars of Warrandyte” are Saturday’s street parade honorary monarchs, Julie Quinton and Cameron Donald (pictured right). An Order of Australia recipient for “contributions to the community of Warrandyte”, Julie is well known as the community-conscious owner of Quinton’s SUPA IGA, which readily supports local associations. She is also appreciated as the initiator of Fireball, a successful fundraising entity dedicated to supporting local CFA brigades. Julie said she was “touched” by the honour of leading the parade to Stiggants Reserve. And who better to lead Queen Julie off the grid, than local superstar motorcycle racer Cam Donald? The Diary learned that Cam’s love affair with motorcycles began at the age of six. But, did he ever imagine a future in which he would notch up 10 podium presentations at the Isle of Man TT — a race often described as the most dangerous motorsport event in the world? “My Dad and Great Uncle Ron Day both raced bikes in their youth and told me stories about riding local roads, imagining they were racing the Isle of Man TT,” Cam said. Cam remembered, as a kid, “racing my friends on foot, making noises pretending we were on motorbikes” during lunchtimes at Warrandyte Primary School. He also recalled festival weekend as “the family highlight of the year”, riding BMX bikes in the parade and racing in the Billycart Derby. In 10 years of competing at the Isle of Man, Cam has ridden over 25,000 kilometres of the 65km circuit at an average speed of over 200kph. “On the most dangerous motorsport circuit in the world, I’m proud to be the most successful Australian in its history,” he said. Although racing necessitated Cam to live overseas for many years, he always missed his boyhood home. “After building our new house we are back, enjoying everything about this special place. “I consider it a huge privilege to be a monarch in the festival parade,” said Cam. Warrandyte Festival is known for hallmark events, like kings and queens leading the parade. However, at its core lie the musical performances trusted to entertain thousands of people, all weekend. Over the past four years, festival volunteers Kym Poole and Adrienne Hilton have been scouting musical talent for festival stages. “It started out as just girlfriends going to see bands we like. “I think we went to a meeting out of curiosity and before we knew it, we were signed up,” Adrienne said. Choosing the acts is “fun but challenging”, the Diary learned, because “people have different tastes from your own”. “What we look for is music that is mostly original, likeable and somehow, familiar. “Local acts have priority but the pool includes Melbourne and occasionally, interstate. “We try to infuse our line-ups with music that is warm, catchy and hopefully good to dance to,” she said. Among the many original acts on offer, Festival ‘19 also promises iconic classics from two fabulous tribute bands. The Petty Mac show is a combination of two Sydney-based tribute shows, celebrating the work of Tom Petty, Fleetwood Mac and its members. It features the talented Bathurst-based duo Smith & Jones and guitarists Michael Carpenter and Casey Atkins, from The April Family. Samantha Hafey is magnificent as the tortured but talented 60s female vocalist still haunting blues lovers today: Janis Joplin. Premiering at the Melbourne Fringe Festival last year and soon to wow audiences in Adelaide, Janis will leave Warrandyte audiences breathless. Fulton Street is the headline act on Saturday evening. Led by powerful vocalist Shannen Wick, the band performs original music in the vein of classic soul and R&B. “Fulton Street create a warm connection with the audience that is so important,” said Adrienne, about one of her favourite choices for this year’s Main Stage. “I stumbled across this brilliant band several years ago on Triple J Unearthed and they played the Riverstage in 2017. “This year, Fulton Street are getting the bigger audience they deserve. Before the weekend music programme gets underway, Friday night’s Film Feast audience will get a taste of up and coming “shoegaze” band, tusc.. Band members Joseph Dwyer (ex The Morning After Girls), Joel Craig, Kain Hardie and Rayan Aridi make up the group, which presents with a range of musical abilities. Currently working on a new album and already playing gigs around Melbourne, tusc. is sure to impress. If you love music, then Warrandyte Festival has got you covered! BATTLE OF THE BANDS is moving to the Main Stage on Saturday, March 23 as part of Warrandyte Festival 2019, starting at the new time of 4:30pm. Just on three solid hours of performances from some of the area’s talented youth will see solo performers and bands, battle it out for the top prize — a full day of recording at Jet Studios. Organisers have shifted the event from the previous Friday night slot to give young, emerging musicians the opportunity to fine-tune their performance in front of a larger audience. “For some entries, it will be their first time playing in front of a really large crowd. Warrandyte Festival audiences are so friendly and it’s probably one of the best stages they could choose to showcase what they are all about,” Battle co-ordinator Opal Gough told the Diary. You would think young band Dead Pig might be new to the stage, given the average age of its members is 12. However, Cam, Josh and Lucas have been playing together for almost a year now… and not just in front of their parents. The boys met in primary school and played at their grade six graduation, which had an audience of just over 500 people. “Our musical influences include Queen, Metallica, Nirvana, AC/DC and other great musicians and we hope to continue performing at gigs and any opportunities our band is offered,” said Dead Pig, collectively. Rapper C-K-H (aka Charlie Harrison) is an 18-yr-old who spent much of last year airing his “smooth flows”, “banging instrumentals” and “catchy hooks and choruses” at regional festivals around Victoria. The young musician lists mainstream rappers J Cole and Anderson Paak as inspirations and notes the release of his first studio EP Maybe One Day I Will, due out on April 5, 2019. “Everyone is super keen to get on the Stiggants stage,” organiser Opal Gough said. Indie pop performers Tully Boyle, Isabella Clarke, Verity Morden and Sascha Muller started writing music as Ethical Decimal last year in Castlemaine. They capped the year off in front of an audience of 10,000 student protestors at last year’s School Strike for Climate movement in Australia, performing on the back of the Victorian Trades Hall truck to kick start the Melbourne rally. “It was an amazing feeling, performing in front of all those happy faces. Looking out at them really helped boost our confidence and make our show a hundred times better,” Ethical Decimal’s Tully Boyle told the Diary. Audiences can expect some Cookin’ on 3 Burners, Missy Higgins and Booker T. & the M.G’s from Warranwood five piece band, Space Goats. Inspired by both the Melbourne and international music scenes, Space Goats cover songs that are rich with funk/soul. With Isabelle Petherick on vocals, Cody Midro on guitar, Noah Kendal on drums and Pierce Allan on keyboard, they are able to recreate similar sounds from the great bands of the 60s and 70s, as well as create original and contemporary music. Also “excited” to be joining the Battle line-up, is Suzi, an 18-year old singer/songwriter from the Mornington Peninsula. In 2016, she was runner up in the Voice of Rosebud Singing Competition, creating a name for herself in the local scene. Since then, Suzi has been writing and recording original material in preparation for a release later this year. Surfing by day and making music by night, Warrandyte/Ringwood lads Jake Tutic, Mateo Gonzalez, Kieran Blanco and Riley Griffiths will play original songs inspired by 70s and 80s alt rock bands, including INXS, The Doors and Black Sabbath. With some “original songs spilling out”, Bleached and Blessed band member Mateo Gonzalez told the Diary, the band “can’t wait to debut at Warrandyte’s Battle of the Bands”. With last year’s entrant Reborn Rebellion returning to the stage, the Battle is shaping up to deliver a heady mix of genres, from funk and soul to hip-hop, indie pop and rock. Battle entrants: may your rock gods be with you! 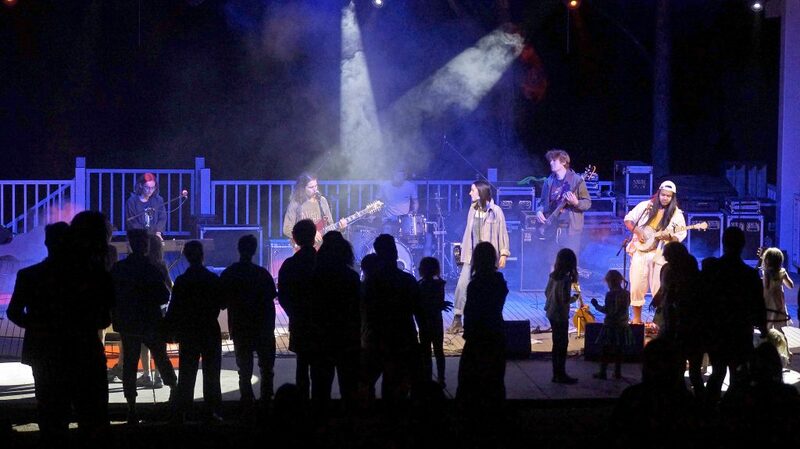 Warrandyte’s great Battle of the Bands is set to take place on the Main Stage at Stiggant’s Reserve at the Warrandyte Festival, starting at the new time of 4pm on Saturday March 23 2019. Three solid hours of performances from some of the area’s most talented youth will see solo performers, duos and bands battle it out for the top prize, a full day of recording at Jet Studios. Entry is open to contemporary musicians of any genre, aged 12 to 25 years. The main stage attracts a substantial crowd, giving bands the opportunity to fine-tune their performance in front of a large audience. Previous winners include Disgruntled Architect, Portrait Distort Rate, Kardinia and Cash The Madmen. To register your interest, please email battle@warrandytefestival.org and include a summary of your band and description of the music you play. SUPPORTED by its Community Partnership Grants Programme, Manningham Council will present Polyglot Theatres’ Boats at Warrandyte Festival, March 22 – 24. 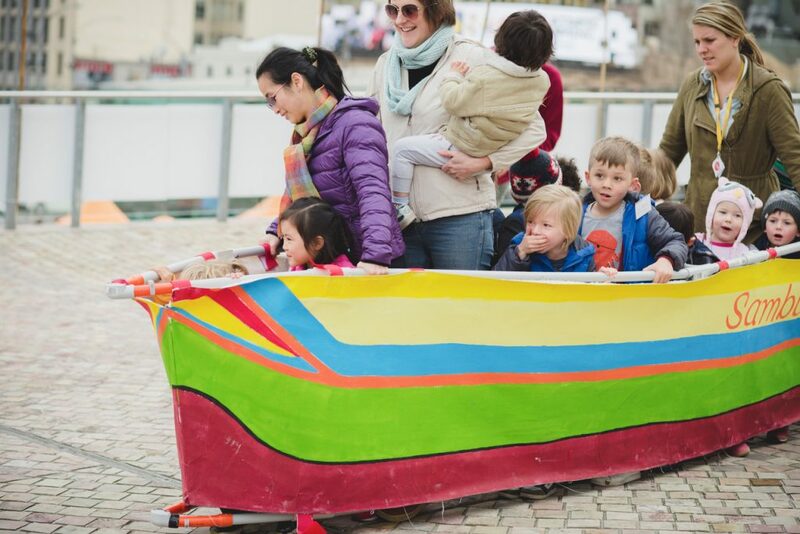 Set beside the Yarra River, artists will lead children and families inside large, lightweight boats (propelled by a flurry of feet), working together as a crew on their voyage across imaginary high seas. The interactive performance enables participants to be at the heart of the experience, engaging through touch and play. Collaborative partnerships that trickle down to community are “lifeblood” when it comes to the staging of a complex event. Importantly, Warrandyte Festival maintains many close-knit relationships. Among them, Warrandyte Neighbourhood House backs The Grand Read; Scouts Warrandyte run the festival’s giant waterslide and Manningham and Nillumbik Councils, Warrandyte Community Bank and Quinton’s Supa IGA, donate regular funding. This support ensures not only the festival’s annual occurrence, but helps in maintaining its grassroots flavour. “The essence of a strong community is fed by the connection we have with our friends and neighbours and that includes the organisations we work alongside of,” said a festival spokesperson. “Together, we celebrate endeavours, weather difficult times and rise to meet challenges with those whom we have forged strong links with. As well as the Polyglot journey, Whitehorse Canoe Club will provide river-related fun across festival weekend, with displays and demonstrations. And if that doesn’t float your boat, a variety of other events will. With fabulous food and drink available from 6pm on Friday, March 22, Warrandyte Film Feast’s evening of short films and live music takes place in The Lounge on the lower riverbank, with the first film screening at 8pm. The 35th Rotary Art Show gets off to a “bubbly” beginning, unveiling its exhibition in the Warrandyte Community Church on Friday, March 22, 7pm – 10pm — entry to the gala opening costs $20 and includes food and refreshments. Heartbeats will surely spike over the weekend, with the excitement of live battles like Saturday’s Battle of the Bands — in the new timeslot of 5pm on the Main Stage — and Sunday’s Billy Cart Derby. And lovers of ABC network’s kids’ sustainability show dirtgirlworld will not want to miss some Main Stage musical magic on Sunday, March 24 at 1pm. This year’s Grand Read — upstairs at Warrandyte’s Grand Hotel on Tuesday night, March 26 — features guest reader Felix Nobis, Senior lecturer and Deputy Head at the Centre for Theatre and Performance at Monash University. Trained as an actor and working professionally for many years before establishing an academic career, Felix also works as a playwright and presenter. His performances have been described as “enthralling” — which means he will fit right in with the regulars who keep Grand Read audiences on the edge of their seats. The town will be watching to see which get-up best represents this year’s festival theme “Stars of Warrandyte” in Saturday morning’s Grand Parade. And, just who will be the monarch with the mostest? Answers to this, your festival guide and more in March’s Warrandyte Diary. 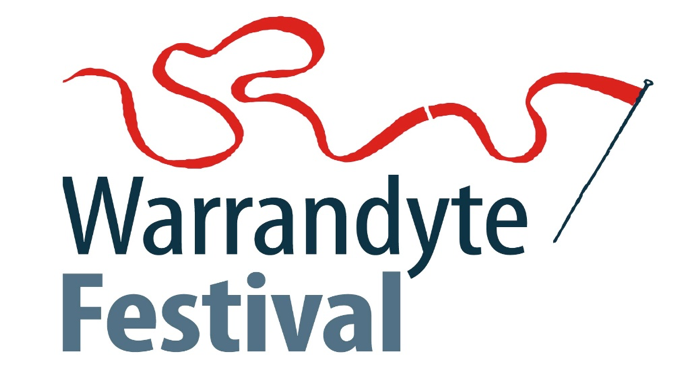 Keep up to date with other festival news by visiting the Warrandyte Festival website and Facebook page.